Have you ever noticed that animals and kids share many characteristics? They both enjoy playing, get hungry, and sleep often. Plus, animals and kids are both cute! To teach my girls more about the natural world, I decided to play games with them. You, too, can choose one of these nine playful ways to teach your kids about animals. Yoga reduces stress and hyperactivity, promotes physical fitness and flexibility, and is a fun way to teach kids about animals! Imitate different animals with yoga poses. The results? Your kids build muscles, flexibility, and health as they learn about how animals move, bend, and stretch. Grab your cameras and take a hike around the block or to a local wildlife preserve during an animal scavenger hunt. Challenge your kids to find and snap pictures of a variety of animals. When you get home, print the pictures, research the animals, and start a scrapbook. Your kids will have fun adding pages to the book every time they explore. Turn snack time into a wild adventure when you eat like an animal. Serve a variety of snacks and let your kids guess which animal eats which food, or serve several foods that one animal eats and have your kids mimic that animal as they snack. Need ideas? Serve bananas to monkeys, carrots to rabbits, pumpkins seeds to birds, and berries to bears. Don't forget the animal crackers! Animals communicate by making sounds. Teach your kids to identify animals by their sounds when you quack like a duck, moo like a cow, or caw like a parrot. You can ask, "What sound does a lion make?" Or play Simon Says and have them make different noises. Transform your child's stuffed animal menagerie into a real zoo. Create realistic habitats with cardboard, construction paper, and other props. Your kids can also group animals according to nature; remind them that fish can't survive in the desert and jaguars won't like the arctic. When you're finished creating your zoo, let your kids give tours to all of the dolls in your house or invite the neighbors over. If you don't have enough different stuffed animals to make a zoo, create one with puzzles, coloring pages, or blocks. Swing around the house like a monkey, balance on one leg like a flamingo, or tiptoe like a giraffe. As your kids dance and move, they'll learn about animal movement and get exercise. Is your backyard a haven for birds, squirrels, or bunnies? Spend an afternoon assembling and hanging a bird feeder or set up a motion-activated video camera. You can also visit a dog park, watch live webcams, or visit a local petting zoo. 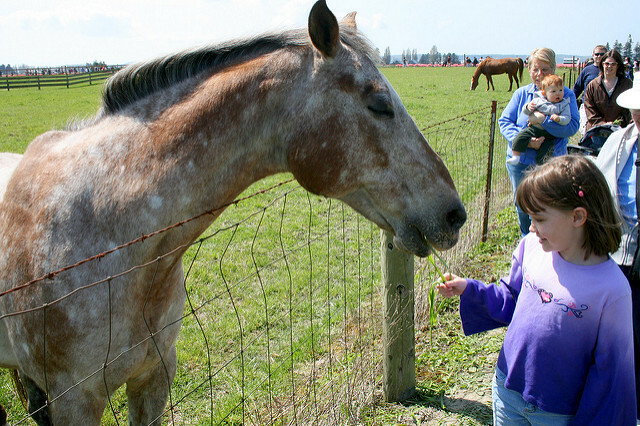 As your kids watch animals in action, they will learn more about animal behavior. After a bath or play time in the mud, your kids make footprint tracks. Animals do, too. Print paper tracks and challenge your kids to match the track with the animal that made it, or make a trail of tracks that lead your kids to fun activities around the house and yard. You can also draw animal feet on paper, sculpt tracks out of clay, or make plaster casts of animal tracks. Teach your kids about animals as you make animal crafts together. Paper plate lion faces, sock puppet cats, and bat garland are three craft ideas that provide hours of educational fun. Most kids love animals. Use these nine activities to teach your kids more about the animals that share our world. What other educational animal games would your kids enjoy playing?